THIS IS A perfect time of year to upgrade your dirty old white Apple earbuds to just about anything else. Want to finally get the Sonos system you’ve been dreaming of? It’s on sale. 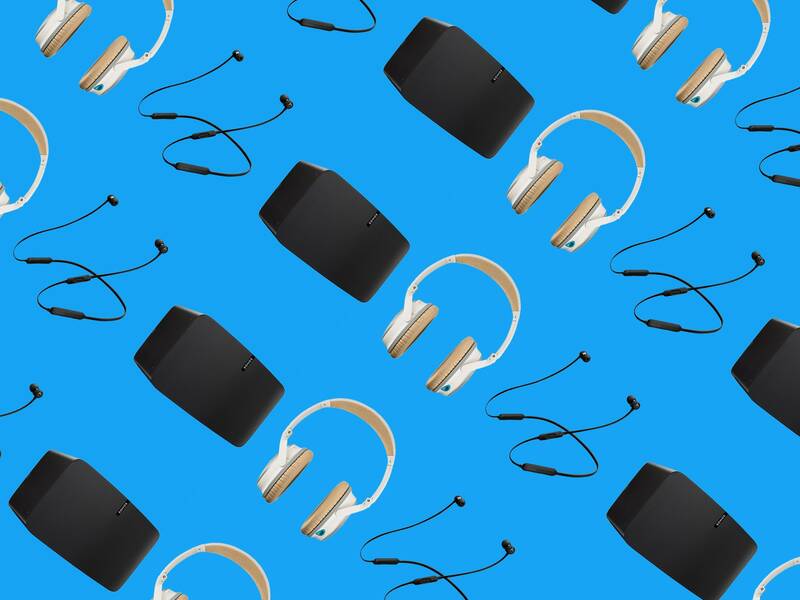 From Bose to Beats, here are the best audio and headphone deals we’ve found for Black Friday. Date: Available Now Buy on Amazon and Microsoft Store At $100, this almost qualifies as a stocking stuffer from one of the undisputed noise-canceling kings. Know anyone who needs a break from the constant family socializing? Give them the gift of sweet, sweet silence. Date: Available Now Buy on Amazon For those of us who are squeamish about digging too deep into our ear canals, it’s a little hard to find secure in-ear buds. That’s why we’re including these, even though they don’t have the touted Bose noise-canceling qualities (which, for some, might seem like the only reason to buy them). These Beats in-ear sport neckbuds are wireless and ready for your next workout. They’re also $70 off their normal $200 price! Featuring the new Apple W1! Okay, it may seem nonsensical to buy this version of UE’s insanely popular, portable, shockproof, and waterproof Bluetooth speakers when their new Wi-Fi-enabled and Alexa-compatible line debuted barely a month ago. But this is still one of our favorite picks and retains the “Double Up” feature that allows you to sync up with multiple speakers, which the new Blast line currently does not. So there. Sonos is discounting quite a few of its speakers over Thanksgiving weekend. We highly recommend the Sonos One because it has Alexa support, as well as the Play:5, Sonos Playbar, and Sub. If you really don’t care about Alexa, the Play:1 is also available and the Playbase, which is great if you want your soundbar to sit below your TV (though the Playbar sounds nicer). If you wanted to get into vinyl, make 2018 your year to jam out! This high-quality Audio Technica is aimed at DJs and home Hi-Fi users alike.